My name is Skipper — don’t you think I’m just adorable? 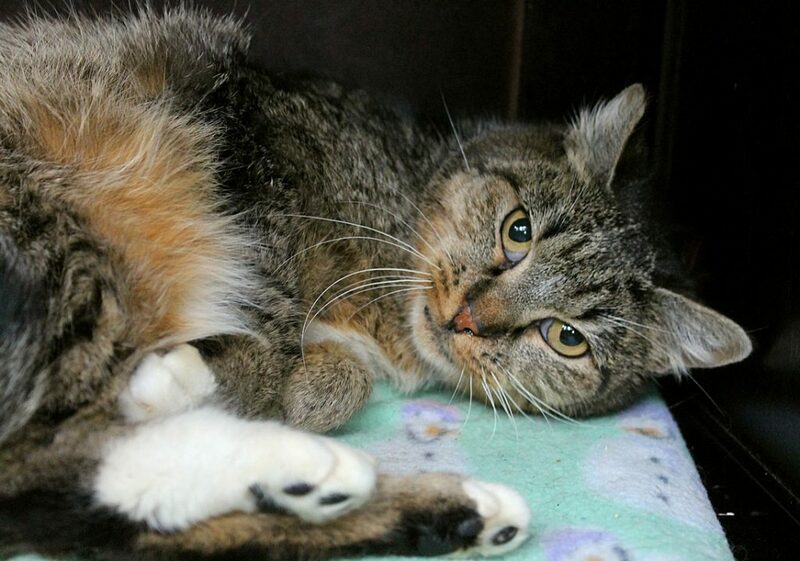 I’m a petite little lady kitty that is around 9-years-old and that has a very gentle soul. I absolutely love other kitties and never mind at all when new kitties enter the cattery and try to curl up with me — in fact, I’ve already made a few furry friends in the very short time that I’ve been here! I’m just a smidge shy and you’ll usually find me curled up in a small space, but the minute you touch me, I will melt like puddy and roll over for you to get some belly rubs in, even drooling sometimes! There is not much known about where I came from, but so far it seems like I will need a little time to build confidence in my next home. 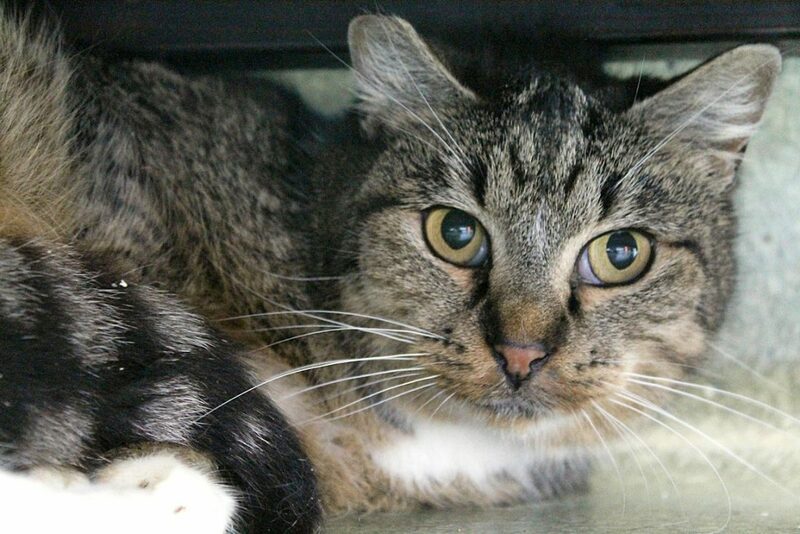 Luckily, human affection really has really helped me to come out of my shell, and I’d love a quiet home with a person who’s wanting to spend lots of time with me. Since I love other kitties so, so much, I’d also make a fabulous companion for another kitty who may have lost a friend, or is simply looking for one. I love kitty cuddles and am extremely mellow and loving, often grooming other kitties heads when they’ll allow it. Pixie has made sure I’m a healthy girl and I know I’ll make someone a wonderful little companion — could it be you? I’m currently living in the Pixie cattery so please, come by and meet me soon! I come to you fixed, vaccinated, and micro-chipped for an adoption fee of $100.